You bring out the best in us, every single day. Because no matter what your current and future plumbing needs might be, we are dedicated to giving you the best possible plumbing experience – period – every time. That was our commitment to our customers and ourselves when we first started doing business in 1988, and today that commitment has only grown stronger. Of course, it’s all about great plumbing. It’s being good listeners, too. Advising you on new and different ways of doing things that could add considerably to your family’s comfort and convenience. Helping you conserve more energy and more water without sacrificing comfort. And, above all, keeping a close watch on your plumbing for your family’s added safety. 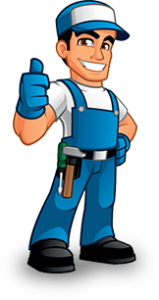 Arnold & Sons Plumbing, Sewer & Drains. Your “go to” local plumbing team.